Do keep the tax impact and exit load in mind before you take a decision to sell, says Vishal Dhawan. In India, the universe of mutual fund schemes is quite large. In the past, many fund houses had multiple schemes within the same category. Many schemes also bore names that either gave no indication of the underlying strategy, or ran investment strategies that were contrary to their names. All this made it increasingly difficult for investors to navigate through the maze of funds and identify the right ones for their needs. To simplify the process of selection of appropriate schemes and to help investors make more informed decisions, the Securities and Exchange Board of India came up with a new system of fund classification. The new system aims to bring uniformity in the schemes, thereby facilitating scheme comparison across fund houses. Based on the categories that have been defined by Sebi, mutual funds have been forced to revisit their entire universe of offerings, and decide which schemes to keep, which to merge, and which to wind down or change the fundamental attributes of. This move could, therefore, have significant impact on investors' portfolios, forcing them to make suitable changes to them. According to the new classification, all open-end mutual fund schemes will be placed under the following categories: Equity, debt, hybrid, solution-oriented, and others (index funds, ETFs, and fund of funds). Only one scheme will be permitted in each category, except in the case of index funds/ETFs, fund of funds, and sectoral/thematic funds. Equity will have 10 sub categories; debt will have 16; hybrid will have six; solution-oriented will have two; and the Other category will have two. There is a total of 36 classes of funds that investors can choose from. While this number may seem large, one needs to remember that mutual funds, over a period of time, have become solutions for virtually all investor needs -- from substituting savings accounts for very short-term needs, to creating wealth through multiple asset classes including equity (both domestic and foreign), fixed income and gold. The new classifications will have an impact on existing funds, and consequently on investor portfolios. In the past, schemes often changed their investment style based on market conditions. For example, a large-cap fund would take sizeable midcap exposure as the fund manager believed that he could add extra return by doing so, and outperform his peer group. This, however, also meant that if the decision went wrong, the fund underperformed severely. Moreover, this may not have been the best thing for an investor in a large-cap fund as what s/he got was different from what s/he thought s/he was buying. In the future, when you buy a large-cap fund, you will get what you think you are buying. Any drastic change in investment style will force the scheme to change its fundamental attributes, which will have to be communicated to investors. While you will still need to read the fact sheet and the scheme information document, it will be much easier for you to figure out what a fund's portfolio is likely to contain. As asset management companies (AMCs) will now have one scheme per category, it will be easier for the investor to compare the options available. All schemes from different AMCs belonging to the same category will have similar styles and characteristics, which will result in an apple-to-apple comparison. 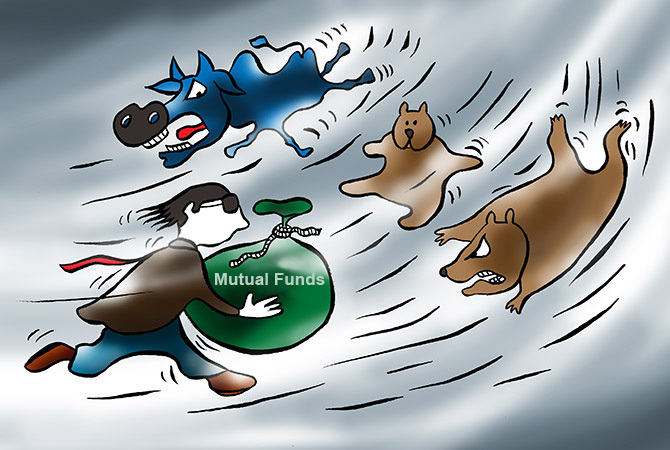 Investors will need to wait till they have all the information and not take decisions based on partial information, as mutual funds are still rolling out the changes. With AMCs being forced to ensure one scheme per category and fund labelling to be in line with investment strategy, the universe of schemes will become smaller. This should result in fund managers being focussed on the schemes they manage, instead of spreading their energies across multiple schemes. Investors will also need to focus their own portfolios far more sharply, due to the fact that they can now gain a much better understanding of scheme strategy in the future. They will also need to look carefully at the asset allocation strategy of their schemes. For example, earlier investors believed that balanced funds were equally in equities and bonds. But this was not the case for reasons of tax efficiency: They were 65 per cent or more in equities. Now, these funds will be classified as aggressive hybrid funds, while the newly christened balanced hybrid funds will become less tax efficient as they will be allowed only up to 60 per cent in equities. The fundamental attributes of a fund that you hold may change. You need to understand if after the change the fund fits your needs. Selling a fund could give rise to tax impact and exit load, which you should try to minimise. Outperformance may decrease as fund managers will have to stick to a strictly defined universe of stocks, forcing you to consider passive funds as an option in some categories. After the latest changes, many schemes have ended up being quite different from what they were originally. Therefore, investors need to keep a close eye on their funds to watch out for any changes that may occur and act accordingly. Go through the communication you receive or have received from your fund houses and try to understand if the nature of any of the schemes you hold has changed. As mentioned above, funds often changed their investing styles to generate significantly better returns than their peer group. But after these regulations, alpha creation may become more difficult as the universe of stocks that funds can invest in will be the same for all the schemes in a category. Furthermore, according to the latest mandate, if a fund wants to be categorised, say, as a large cap, it will have to invest only in the stocks defined by regulations as large cap. Regulations will also require funds to rebalance their portfolios based on the semi-annual publication by the Association of Mutual Funds in India of the list of large, mid and small cap stocks. They may have to engage in forced selling to accommodate any change in the category of a stock. This could possibly have a negative impact on fund performance. Also, many schemes could become much larger due to mergers, making them unwieldy to manage, and thereby impacting their performance. There could also be a change in expense ratios, which could impact performance (if they rise). Thus, investors will need to keep their eyes and ears open over the next few months as all these changes come into effect. Investors may have to make alterations to their portfolios because of these changes, which could give rise to exit cost, or have a tax impact. Therefore, don't rush to make these changes without understanding the complete picture. Overall, while there may be short-term practical hurdles for both investors and fund houses alike while adjusting to the new mandate, this is a positive step taken by the regulator as it will bring reliability and simplicity for investors. Investors who can handle these changes should devote the time required to make them. As for those who do not understand the changes, it would be prudent to get professional advice. Finally, bear in mind that due to the introduction of long-term capital gains tax on equities, the fewer changes you make to your equity portfolio, the better. Hence, each change you make should be well thought through. Vishal Dhawan is founder and CEO of Plan Ahead Wealth Advisors.